Are you a owner of a Supercar or Luxury Sedan? Or planning to buy one? And if you love supercars, we have good news for you!! Let's form a collaboration with Ultimate Drive! Some supercar owners has a daily car and drive the supercars for leisure. The supercars are usually idle 80% of time. Pooling your supercar with 9 supercars owners. Enjoy more supercars in the combined fleet while making money! The likely scenario is that you will be using your Luxury Sedan as your daily car and may need a supercar occasionally. We have a RESERVE situation at Ultimate Drive. Our Fleet of supercars are used daily and we need Luxury Sedan occasionally for our customers. Let's form a reciprocal arrangement where we can swap them when we need them. Your LuxurySedan will be driven by our team of competent drivers or your driver. So you are assured that your LuxurySedan will be well taken care of. Join the Ultimate Reciprocal Network of Owners of Rolls Royce and Bentley around the world. As a member, you can mobilize the cars when you need them, anywhere in the world including those your own country. Points will be credited and debited depending on usage. Let's form a reciprocal arrangement where we can swap them when we need them. It's a smart way to share luxury assets and make some new friends. We are looking for Limousine Providers around the world to form an alliance with us. We refer businesses to each other. It will not be a passive alliance because Ultimate Drive will be actively marketing this Limousine Service. We use a Point System. 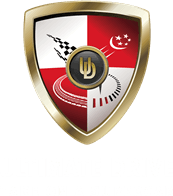 UltimateDrive will manage the Point System to keep track of our usage. Surplus points will be reimbursed with cash every quarter. To make sure our cars are used only during idle time, both parties have the right to reject a booking. This way, we maximize utilization and minimize inconvenience.